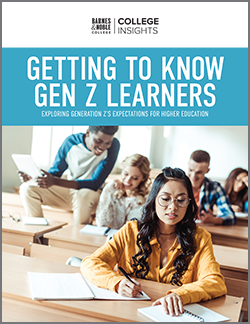 For all the big business marketing appeal of today’s burgeoning college sports industry, athletic directors and college administration know the most valuable resource for their team’s success is to be found at the grass roots level — in the support and enthusiasm of their team’s fans. The fans of Penn State’s athletic teams are a case in point, which according to the NCAA, had the fifth largest college fan base in the country last year. Engaging those fans has become a key component of the school’s athletic programs and has resulted in some innovative and visually spectacular events. 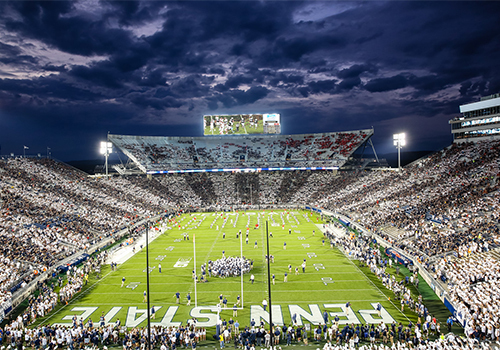 Penn State held its first stadium-wide ‘White Out’ event in 2007, an eye catching and exciting collaborative experience now commonplace among big-time sports schools and involves the fans wearing just one color in support of their team. 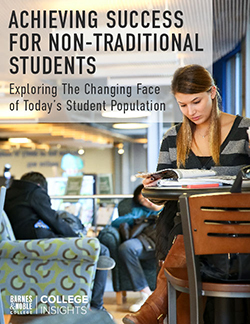 But when the university decided to bring something new to Beaver Stadium for this season, they staged a ‘Stripe Out,’ a remarkable effect achieved with the help of their campus bookstore. The idea of filling the arena with blue and white school pride was an ambitious one, calling for precise seating and pre-game organization. To assist with the staging of the event, Penn State called upon the expertise of their bookstore for help. 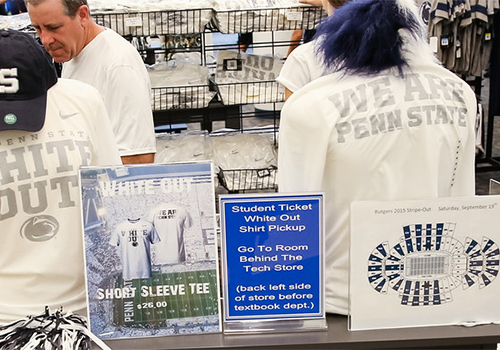 “The stadium had alternating sections, one section blue and one section white, and part of our social media outreach was getting people on our Facebook page and our Twitter accounts talking about it,” explains Steve Falke, Director of the Penn State Bookstores. “We had the stadium layouts on display at all our stores to help fans with their tickets stubs, and to know what section they were in and what they would need to wear on that day — and we also carried all of the Stripe Out information on our [bookstore] website,” he adds. Stadium layouts were on display at all stores to help fans, with their tickets stubs, know what section they were sitting in and what they would need to wear on that day. Stripe Out information was also posted on the bookstore website and Facebook page. “This was the first time we had done a stripe out,” says Dan Sieminski, Associate Vice President of Finance and Business for Penn State, “and the bookstore, working with athletics, really helped get the message out,” he says. It’s a partnership Sieminski values particularly on game day, with the bookstore providing more opportunities for fans to obtain their team merchandise, game memorabilia and show their school spirit. “We have a bookstore location at Beaver Stadium, 365 days a year,” he says. “But for game day, we have to expand our operations with the addition of a tent, which serves as an extension to the store — and trailers parked at different locations around the stadium,” he explains. The first ‘Stripe Out’ crowd in Beaver Stadium history saw victory for the home team, defeating Rutgers University 28-3 in the first Big Ten Conference game of the season for both teams. And while the support the bookstore offers to Penn State is a striking example of an athletic partnership, it’s not the only one in collegiate sports. Currently, Barnes & Noble College supports 23 Division 1 teams nationwide, with game-day athletic concessions and online outlets. 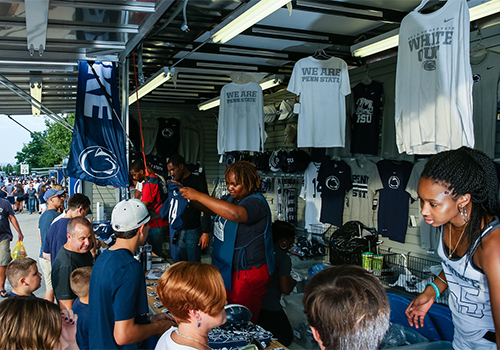 The Penn State Bookstore stadium trailers offers fans Penn State merchandise on game day at various locations around Beaver Stadium.